Mississauga Authentication Legalization Service Center – Now Open! 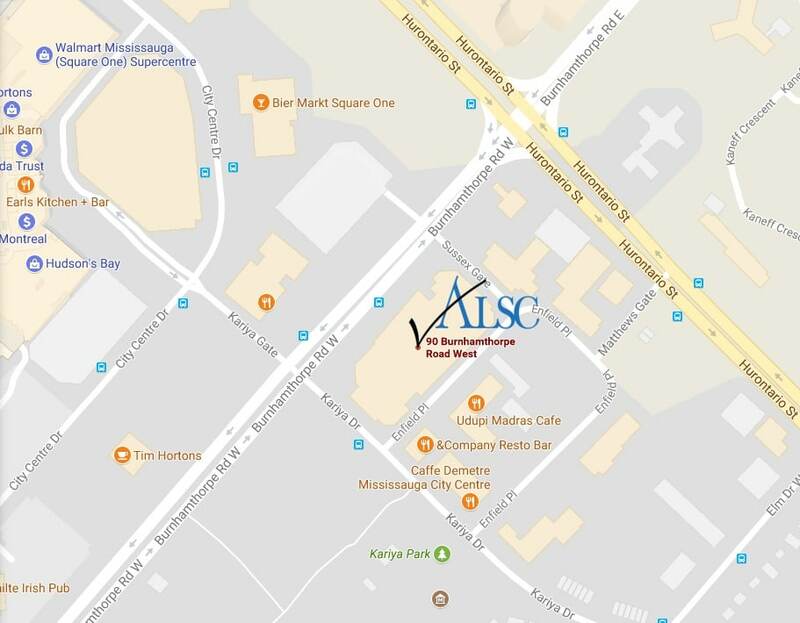 You Are Here:Home/ALSC Service Centers/Mississauga Authentication Legalization Service Center – Now Open! Mississauga Apostille Authentication Legalization Service Center – Whether you live in Mississauga or Etobicoke, Brampton, Oakville, Burlington or Hamilton our newly opened apostille, authentication and legalization service center can assist you with validating your Canadian document for use internationally. Our team of experts can help with your birth certificate, marriage certificate, degree, police check or corporate documents just to name few types of Canadian documents we process daily here at ALSC. With 25 years of assisting people from the Mississauga area we have become the go to service for international apostille, authentication and legalization services. Our three different Document Authentication service levels at Global Affairs Canada in Ottawa has allowed our clients to save up to 20 business days processing time. The ALSC Priority same day*, Standard 3 business day or Economy 10 business day document authentication services provide our clients with choices to meet their budget. This gives you quicker access to the legalization step at the embassy, which can save even more time in having your Canadian document recognized internationally. That’s just a few of the benefits of using our Mississauga authentication and legalization services, which to note may be called Apostille in some countries. Apostille is another process of validating documents for use internationally that some countries follow because they have signed an agreement called The Hague Apostille Convention. Although Canada has not signed the Apostille convention many Canadians still get asked to get an Apostille for their Canadian document only to find to that they cannot get one. In order to have the equivalent of an Apostille on a Canadian document it must first be authenticated by Global Affairs Canada and then legalized by the embassy consulate. Save yourself a stressful and time consuming trip to the post office and use the professionals ALSC for fast and easy authentication legalization through our trusted service centers across Canada. 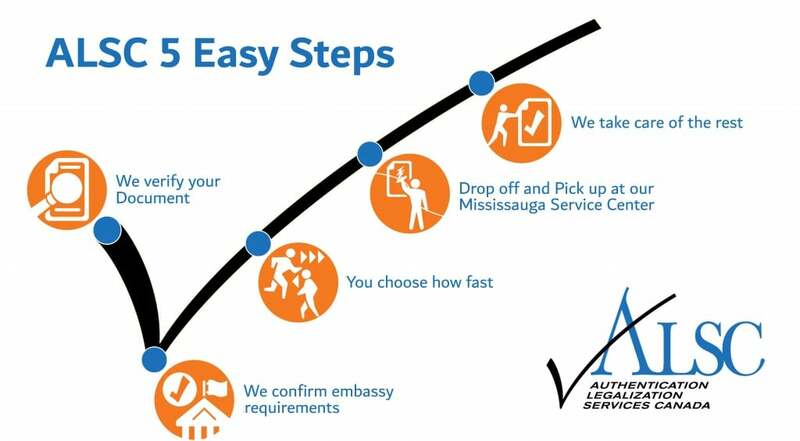 Once you have confirmed your service options we can then set up an appointment for you to drop off your documents and ALSC order forms at the Authentication Legalization Services Canada – Mississauga Service Center located at suite 1400 – 90 Burnhamthorpe Road West, Mississauga ON L5B 5C3. They will be waiting for you at the Mississauga Service Center to ship the documents overnight to our national headquarters in Ottawa, where the documents will be processed. Now we do our part keeping you updated at every step via email. Upon completion of the process we let you know when you can pick up your completed documents at our Mississauga Service Center, it’s that simple. Best of all it’s guaranteed! 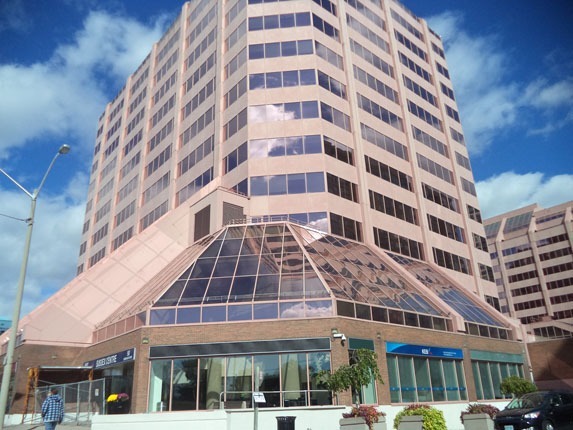 The ALSC Mississauga Authentication Legalization Service Center is located at suite 1400 – 90 Burnhamthorpe Road West Mississauga ON. The service centre is almost at the corner of Burnhamthorpe Road West and Hurontario Street close to the Square One Shopping Centre. Below is a picture of the building and a google map to help find us once you have booked your appointment. Click below to get started with the Mississauga Apostille, Authentication and Legalization service experts. By ALSC|2018-06-11T15:48:46+00:00September 14th, 2017|ALSC Service Centers|Comments Off on Mississauga Authentication Legalization Service Center – Now Open!